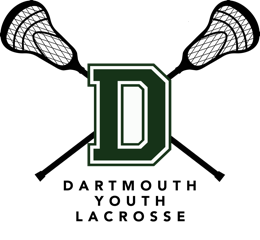 Dartmouth Youth Lacrosse (DLAX) is a nonprofit youth lacrosse league located in Dartmouth MA. The program's website is www.dartmouthyouthlacrosse.com and our email is dartmouthyouthlacrosse@gmail.com.We are part of the South Shore Lacrosse League (girls) and Crossroad Township League (boys) regional lacrosse leagues in Massachusetts. We have been in existence since March 2007. The mission of Dartmouth Youth Lacrosse is to provide a fun and safe environment for the girls and boys of Dartmouth to learn the sport of lacrosse. To help promote teamwork and sportsmanship while teaching them how to set and achieve personal and team goals. Dartmouth Youth Lacrosse, Inc. (DLAX) is a registered 501(c)(3) non-profit organization since November 2008. Check out this Lacrosse league 'Dartmouth Youth Lacrosse 2019' with Dartmouth Youth Lacrosse!